Life seems easy for the little red tuna crabs delighting Monterey Bay Aquarium visitors. The temperature and water chemistry in their exhibit are carefully controlled and stable. In the wild, it’s a different story. Conditions are changing—fast. Crabs and other critters are in a race with time, as record levels of atmospheric carbon dioxide (CO2) warm the planet and change ocean chemistry. Our colleagues at the Monterey Bay Aquarium Research Institute (MBARI) are on the front line, documenting the impacts and identifying potential solutions for this serious threat to ocean health. For more than a century, scientists have known that burning fossil fuels warms our planet. They’ve also long been aware of another impact—this one affecting ocean chemistry. 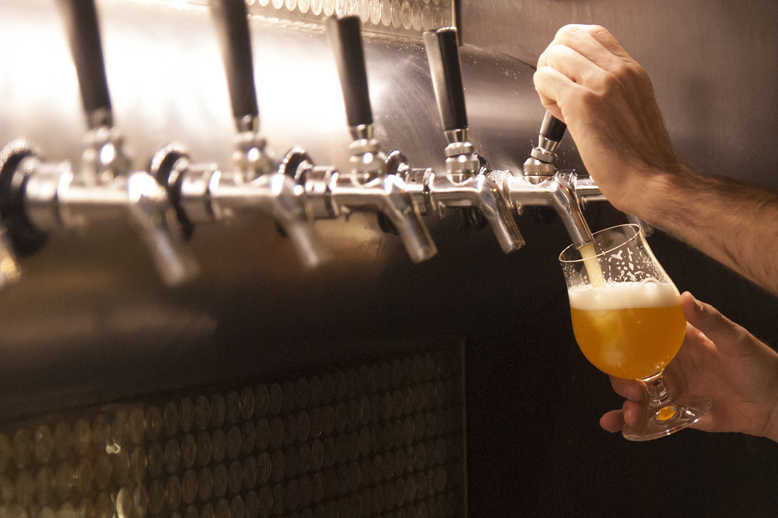 In 1909, a brewery chemist discovered that CO2 both creates bubbles when it’s dissolved in liquid, and makes it more acidic. In 1909, a chemist at the Carlsberg Brewery Laboratory discovered that CO2 dissolved in water not only creates tiny bubbles (like in beer). It also makes liquid more acidic. In other words, our burning of fossil fuels is changing the chemistry of the ocean, a process called ocean acidification. The impact of rising atmospheric CO2 developed slowly and subtly. By the 1960s, however, climatologists began raising alarms. Decades later, Al Gore’s landmark book and movie, An Inconvenient Truth, framed climate change as an urgent threat to human survival. As the scientific community worked to build accurate models of climate dynamics and explore ways to deal with rampant carbon, some eyed the ocean—which absorbs 25 percent to 30 percent of the excess CO2 in the atmosphere—as a solution. Could we stash even more atmospheric carbon in the sea, sparing the planet the worst impacts of global warming? MBARI chemist Peter Brewer and his colleague, ocean ecologist Jim Barry, saw a scientific opportunity to study the impacts of a more carbonated sea. “Peter worked out how we could take CO2 down to the seabed and observe its behavior and chemistry,” Jim recalls. Deep-sea animals tend to be more sensitive to change than shallow-water relatives that evolved to cope with variable conditions, Jim says. He began collecting deep-sea Tanner crabs and shallow-dwelling Dungeness crabs, putting them in special holding tanks to compare how they’re responding to an acidifying ocean. 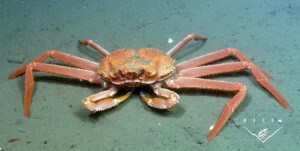 While these early experiments used unnaturally high CO2 levels, the results suggested that deep-sea crabs may be less able to cope with the challenges of environmental change they’ll face in the future. Unlike the controlled conditions inside a laboratory, wild nature is complex. Water temperatures, dissolved oxygen levels and acidity rise and fall naturally. These variables complicate the task of measuring the impact of a single variable, such as carbon emissions from burning fossil fuel fuels. Today, MBARI scientists are finding new and innovative ways to address that challenge. One way to observe changes to the living environment is to bring the lab to the sea floor. The team at MBARI built a suite of tools that include a deep-sea respirometer, which measures an animal’s oxygen consumption, and the Free-Ocean Carbon Enrichment (FOCE) system, which allows researchers to study ecosystem responses to environmental variables. Some ocean conditions are especially tricky to study. Upwelling regularly bathes coastal habitats with cold, acidic and oxygen-depleted water from the deep, affecting habitats and fisheries. MBARI post-doctoral researcher Charles Boch compares upwelling to an underwater hurricane whose timing and severity are near impossible to predict. Charles’ studies of ocean acidification on red abalone, conducted with Jim and Hopkins Marine Station resarchers Fiorenza Micheli and Giulio De Leo, show fertilization suffers as acidity increases. Research also shows problems with shell formation in other invertebrates. Understanding how acidity works in concert with other variables, and how those effects ripple throughout entire ecosystems, is critical for resource managers. Research efforts like MBARI’s help inform the search for science-based solutions. By 2012, ocean acidification research had made its way into recommendations to California policy makers. California Gov. Jerry Brown will host a Global Climate Action Summit in San Francisco in September 2018. The Aquarium has partnered with local and state government agencies, as well as with other nonprofits, to take on the challenge. In 2016, we joined the International Alliance to Combat Ocean Acidification, a global network of governments and organizations addressing ocean acidification and other climate-related threats. In July, when the federal government withdrew from the Paris climate accord, California Gov. 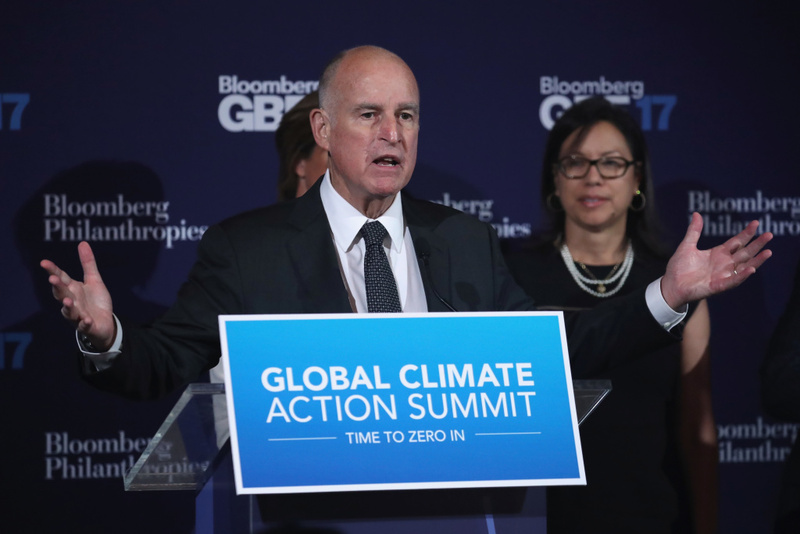 Jerry Brown announced the state would gather leaders from around the world for a Climate Action Summit in San Francisco, in September 2018.